We just finished a new set of sample templates and demo applications for upcoming conferences to show the power of Text Control's Flow Type Layout Reporting. The Yahoo! 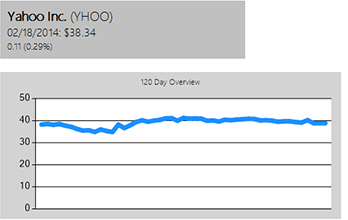 Finance API is a service that Yahoo! provides to download financial data in various formats such as CSV, YQL (an expressive SQL-like language) or RSS. It is a perfect tool to get real-time data for demo reports. The input of this field is of type DateTime and will be rendered in the following format: MM/dd/yyy. All typical string format switches are supported and can be directly adjusted in the dialog. Images and barcodes can be merged in the same way like merge fields in a reporting template. An image or barcode placeholder is added at design-time to the template and merged with data from files, databases or memory. In this demo report, the image data is downloaded from a Web Service, converted into a System.Drawing.Image and directly merged as part of the business object. Using Text Control Reporting, you simply pass the business object to MailMerge and everything alse is done automatically. An image object can be added to the template with a given name. The data column must contain either the binary image data as a byte array, an object of type System.Drawing.Image, a file name, a hex or Base64 encoded string. 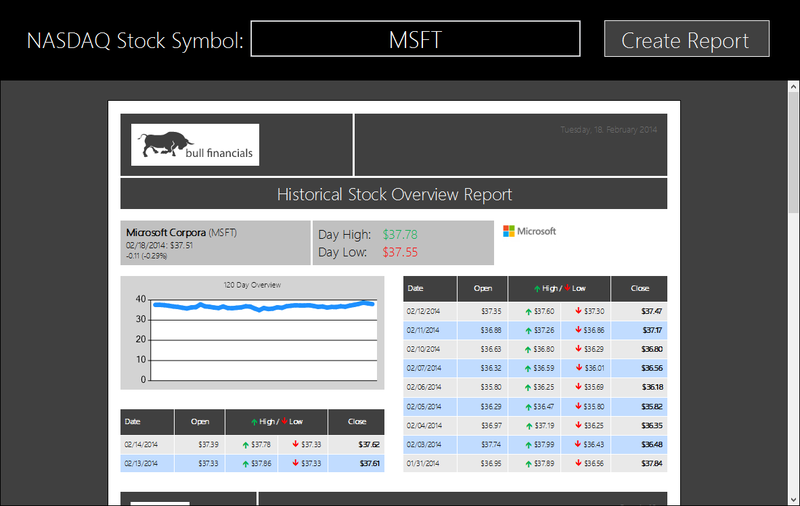 In this demo, all daily stock prices are added to a line chart to indicate a trend. The size and style of charts are added at design-time and merged dynamically. 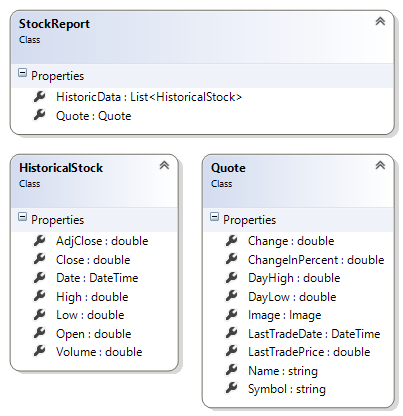 Additionally, this merge block consists of a table header that is repeated on a new page and a new column. The table for the merge block is in a column layout which results in a two column table representation. It is important to adjust the display of your tabular data in order to improve the readability. Reading large sets of numbers in long tables can be hard and there are easy ways to improve that. A smart way to accomplish this task are alternating row colors. 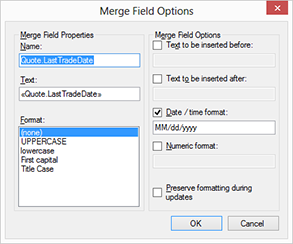 The merge block range includes two table rows that contain identical merge fields. The background color of the second table row is different. In fact, you could also have different merge fields in those rows. 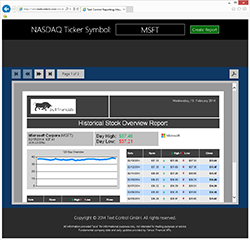 At the end of the first row, a NEXT field has been added which switches to the next data record in the middle of a page. Live Demo - Try it on your own! 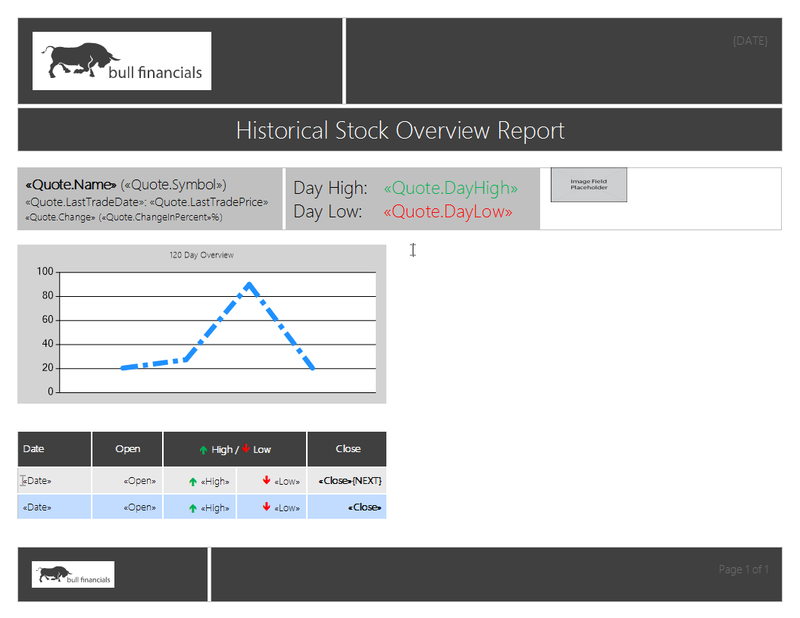 We published this sample application and the Text Control Reporting template to our demo server.